Throughout evolution, exposure to sunlight and the photosynthesis of vitamin D has been critically important for the evolution of land vertebrates. But all of a sudden in the past few decades, we have been burying the Sun from our lives while simultaneously increasing our exposure to artificial light. Could this be a foundational mistake for our health? Has the status quo's fear of the sun been blown out of proportion? Circadian medicine won the most recent Nobel Peace Prize saying that a resolution towards chronic disease is to live in-tune with our natural circadian rhythms. Simply, 'go back to nature' is now the prescription for healing. 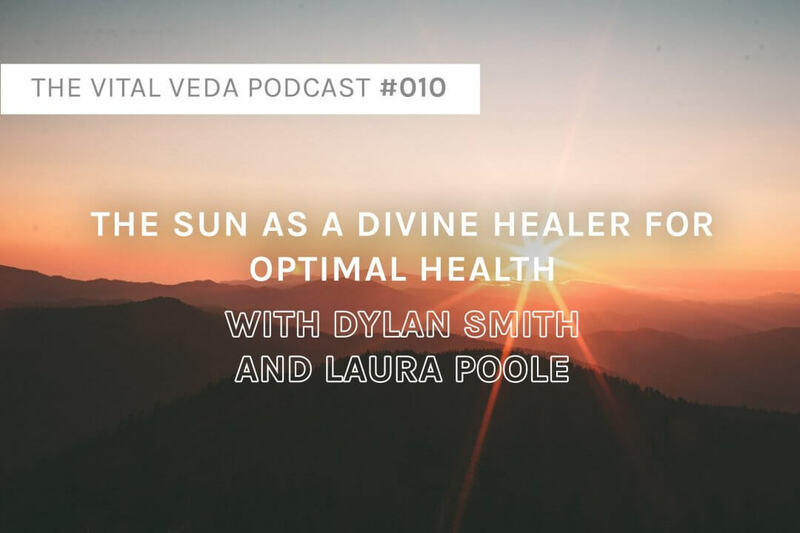 Dylan and Laura will share how to work with the Sun to optimise your health and immune system, so you can re-establish this important and foundational human-Sun relationship. This recording is from a talk where Laura interviewed Dylan in Melbourne in September 2018. Laura Poole is a Vedic meditation teacher, speaker, writer and community builder. She has trained intensively over the past decade with great masters in Australia, India and the United States. 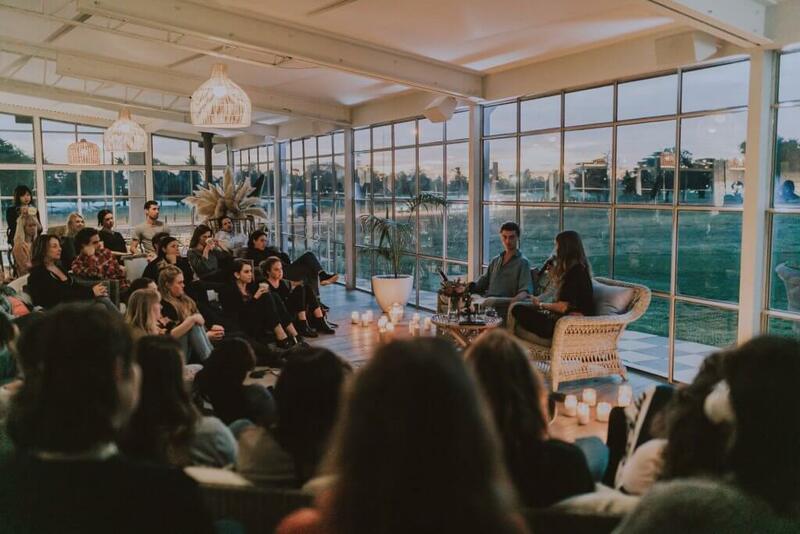 Based in Melbourne, Laura shares the wisdom of Vedic meditation, Vedanta and Ayurveda, making it relevant for living in today’s world. 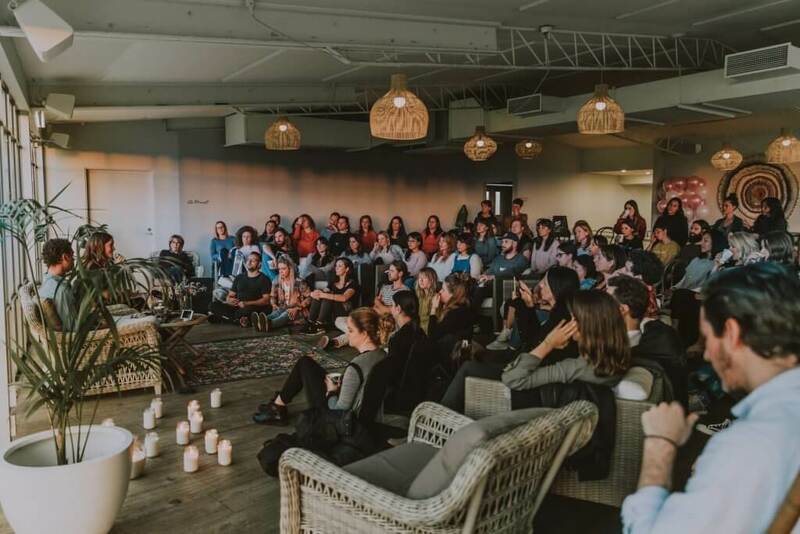 She is a truly dedicated leader and entrepreneur in the Melbourne meditation space, inspiring people to take care of their mental and physical health while encouraging them to make a real difference in the world. 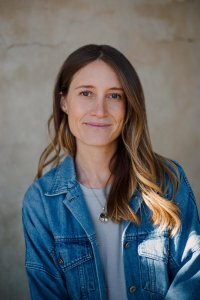 Laura is the founder of Mahasoma - a movement that is creating a new cultural narrative through the embodiment of wisdom and practice. She was also an original co-founder/co-creator of 1 Giant Mind Australia and its free 'Learn to Meditate' app. How Dylan became fascinated and in love with the sun. Forming a relationship with the sun. Like any sentient being, we are in a reciprocal relationship. We need to reciprocally give our attention and energy in order to obtain the benefits that the sun offers. Practices to form a relationship with the sun for a mutual exchange of attention, awareness and admiration. Surya Namaskar: Sun Salutation, a devotional practice to Surya (sun). Circadian Medicine - What the latest Nobel prize was won for. Circadian Rhythms: living in tune with natures cycles and your own biological cycles. This is Ayurveda 101. This had the Ayurvedic community laughing but also provided well over-due relief. The Nobel prize was won for such fundamental natural law (Veda) because the prescription for healing the epidemic of chronic disease is to live in tune with nature. The sun as a sentient being and one of the supreme forms of nature. Very consistent: always on time, unconditionally showing up. Generous - Gives life unconditionally to everyone. Central - everything is moving around it. Illuminating - allows us to see. Gives us the capability to illuminate ideas within our own mind. The Lighting Crisis: Burying the sun from our lives and replacing this with artificial blue light. The sun providing the body with energy by generating DC electric current and activating mitochondria function. The problem with sunscreen, windows and glasses - you are blocking particular spectrums of light, so the light hitting you is an altered spectrum of light that is not holistic and causes damage. The eyes as a seat of pitta (fire/metaboliser). Especially in Australia. Breaking free of social conditioning, questioning science and thinking clinically. Dermatologists can’t explain the growth in melanoma because while melanoma is increasing, our exposure to the sun is reducing. The difference between morning and evening light spectrums. Under Active Thyroid - A common problem. Thyroid hormones are created by the pituitary gland which is turned on by light. Absorbing micro-nutrients from food, regulating hormones. Phone: Change your light temperature on your phone setting to “most warm” and have it one 24/7. Computer: Iris software as a shield for your computer screen. The Epidemic of Eye Diseases: Pre mature-blindness, macular degeneration, dry eyes. Practices to mitigate these issues. Nasya (Nasal Drops) - Medicated Oil to sniff up into the brain to lubricate the whole head, neck and throat. Detoxifies and rejuvenates the pineal gland. Learn more. Re-structure your drinking and bathing water back towards water’s natural molecular state for proper hydration and detoxification functions. Check out the Water Restructuring Units from Super Health Water. Mention Vital Veda to get a discount. Olinda Spring - Spring water delivery in Melbourne. Go harvest your own spring water. Find a local spring here. Recognising not just the biology of your skin, but the outer skin of what we live and spend time in (buildings and environments). Skin Physiology and why blind people still have light and dark cycles. Melanopsin and photoreceptors in our skin that sense light without seeing, that metabolise light, circadian rhythms and that initiate melatonin production. An essential practice of anointing your body with oil and giving massage. Benefits: Pacifies nervous system, move the lymph, enhances blood circulation, improves skin physiology, feeding skin micro-biology and more. Download your free self-abhyanga poster here. The enteric nervous system. Relax your belly, allow it to be soft. 85% of the world is deficient in Vitamin D.
Why Oral Vitamin D is not as adequate of the sun. Due to the epidemic of chronic disease. Building sun exposure and tolerance. Dermal pooling - red blood cells coming to the surface to absorb UV for prana (life-force) and energy. Grounding to the earth's current. Photo-Electric Effect - Light is stored in water and in food. 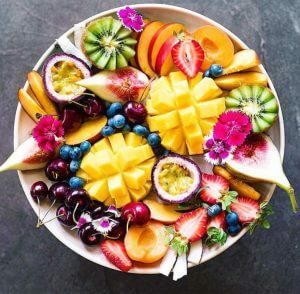 Go in the sun, then eat the natural foods. Excess blue light triggers activity from “Lunatics” and causes higher crime rates during full moon. Vedic Meditation as one of the most evolutionary things one can do for their health. Tongue Scraping for removing toxins. Relationships - We in relationships with everything in life, but what type of relationship is this. Mahasoma - Creating a new cultural narrative. Further podcasts and reading about the sun - any podcast that interviews Dr Jack Kruse. Quantum healing: The deeper reality of mind-body medicine and the influence of consciousness on our biology. Learn how to enliven this place within us for profound and even miraculous healings. How to create comfort for your body so that it can heal itself. Infertility: An epidemic that can certainly be conquered (simply). 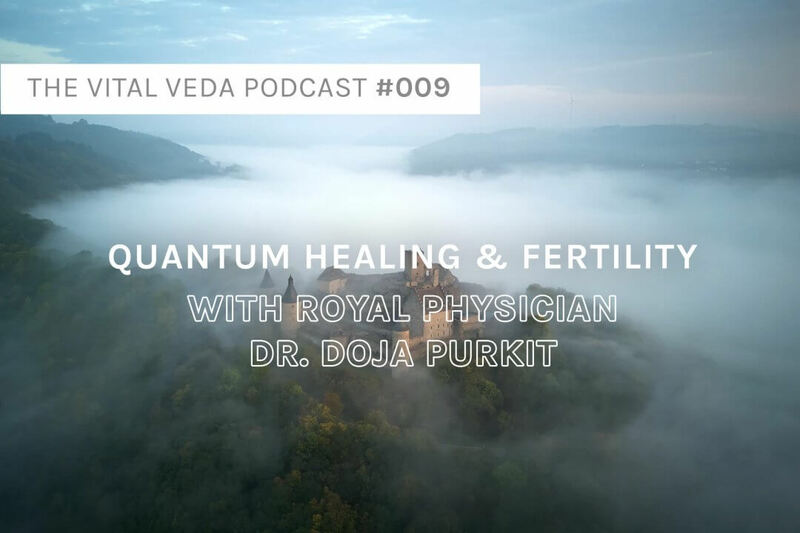 Join Royal Physician Dr. Doja Purkit as he shares many simple and practical techniques that you can easily integrate into your life. 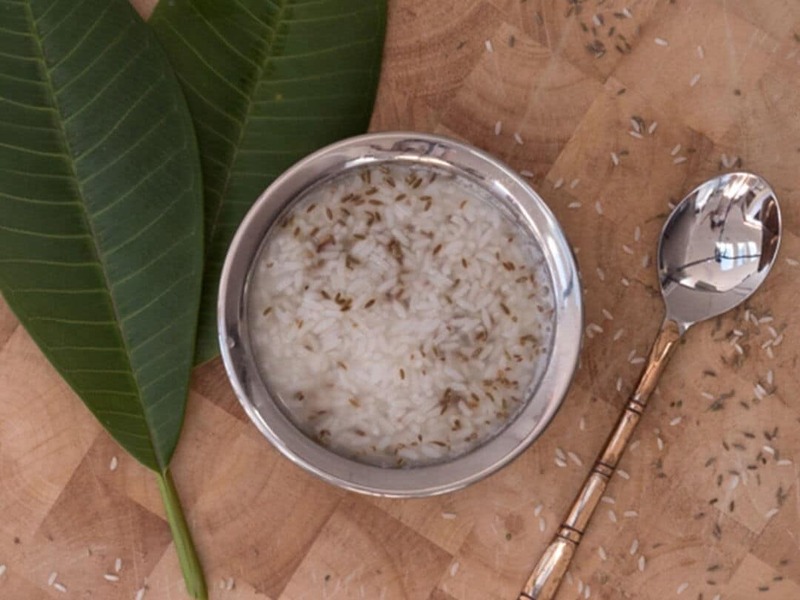 Doja Purkit is a leading expert in the field of Ayurvedic medicine and alternative medicine. 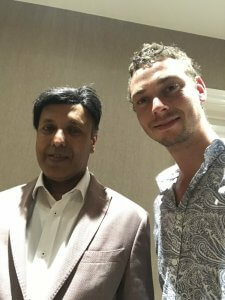 He is a consultant and head of the Ayurvedic department at the London Hale Clinic, a world-renowned clinic for alternative and complementary medicine. 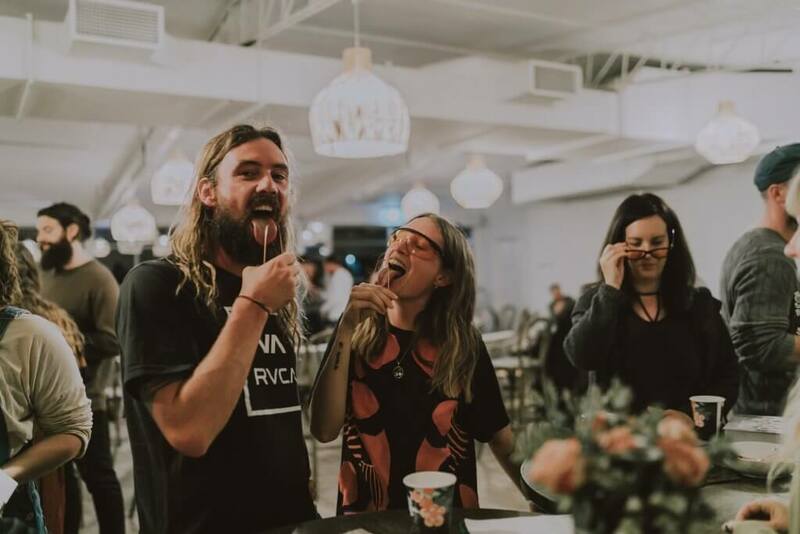 Doja's intimate and basic approach to individualised and personalised treatments make him a saviour for royalty, rock stars and celebrities that live harsh lifestyles. Dr. Doja Purkit qualified and trained in India, Hong Kong and England. 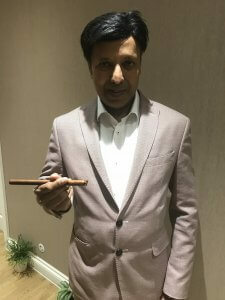 He has been practising Ayurvedic medicine, Marma Treatment, Acupuncture, Homoeopathy and preventive rejuvenation health care for the past 26 years. He conducted research into stroke rehabilitation with the Hammersmith Hospital. He founded The Vital Life: a company that produces pure, natural and handmade health, beauty and wellbeing products. Doja believes that health belongs to you and is your birthright. That knowledge, wisdom and a sense of realisation of oneself are vital for good health and longevity. Creating comfort for the human body to heal itself. Healthy detoxification mechanisms - diet. Personally treating each patient including all body treatments. Maximising Soma (flow of consciousness). Absorbing the karma and disease from patients. The karma has to go somewhere. Animals are fantastic at absorbing negative death energy. The Vaidya (physician) having a big stomach like a Buddha to absorb the negative energy. Basic healing to access the quantum level of healing. Then you can heal any level of disease in anyone. Woman’s overdrive and over zealousness increasing masculine hormones and reducing female hormones. Excessive facial hair - related to PCOS. Excessive toxins - If you are doubting your actions in life, your probably have excess toxins. Make comfortable and ensure Doja’s 3 Influential Factors for Healing. Cleanse ovaries (females) and prostate (man) through herbs, and breathing exercises (pranayama). Aloes Compound by Alarsin - 2 tabs 2-3x/day from the first day of cycle till 14 days. Practice patience - the female should do be in silence and do nothing after dinner for one hour for 40 days. This was a method that Gandhi and Nelson Mandela practised and helped them succeed. Doja has seen success with this in his patients. Frog pose (yoga asana) - 10 breaths 3x/day. Improves survival energy. Marma behind ankle for ovulation - massage. Humming bee noise. - 10x. Good to deal with emotions. Boost lymphatic system with self-abhyanga. Turmeric to reduce inflammation including pelvic inflammation. Alternating between hot (40 degrees max) and cold (room temperature, 20 degrees) bath - stimulate circulation and prana to reproductive organs with contraction and friction. Spray Rosewater on ovaries and abdomen to moisturise. (Use pure rose water). Read pregnancy magazines, books, photos and be around babies and children. 1 hour Silence and rest after dinner. Before going to bed, wash face, hands and feet. - take away most of the bodies dead cells. Create freshness for the mind to communicate more effectively with the uterus. Mono-food diet for 5 days. Same breakfast meal for 5 days, same lunch meal for 5 days and the same dinner for 5 days. Conium (Homeopathic tablet) - 2 tabs 2x/day for 60 days. Because they wash their hands and feet. Consider infections like UTIs as an obstacle for infertility. Bangshil Tablets (by Alarsin pharmacy), 2 tabs 2x/day before meals for 10 days. Liver - The commander of the body. Cleanse the liver for fertility. Shirodhara - An Ayurvedic treatment to produce peace in the mind. Fish (avoid fish high in mercury). Almond milk and goats milk (boiled). Avoid - fried food, spinach, chocolate. Places in the physiology where highest consciousness is located. Pulse diagnosis to detect blocked marmas. The dangers and sensitivity of marma therapy. 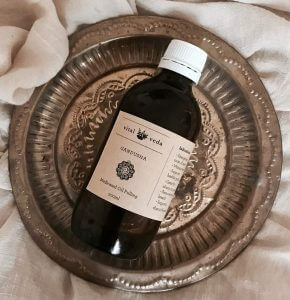 Abhyanga (oil massage) to moisturise, activate and give comfort to the marmas. Balance and comfort them. Open and unblock marmas where consciousness does not flow. Marma takes a minimum of 7 years learning. Dr. Doja Purkit demonstrates how to do Marma massage on the knuckles and hands to remove deep-seated memories that are obstacles to good health. After removing these memories, whether they are traumas, deep-seated emotions or physiological habits, the quantum healing will enliven and this can heal anything. This marma massage is also effective during fever. Instructions - Do for 10 minutes (5 minutes each hand) during fever. (see video). Here Dr. Doja is using his special tool (which you can hear about on the podcast episode with him). Dr. Doja Purkit demonstrates how to massage your third eye (Ajna marma point/chakra) to release stress. - Use the middle finger of your right hand. - It is recommended to do this practice in private. - It is good if you apply some massage oil then do this. Dojas special stones from Himalayan masters that he uses as a medical instrument. To remove the memory of disease and enliven quantum level of consciousness. The power of subtle healing. Doja occasionally prescribes these stones for patients to swallow in special cases. They unify energy - unify positive and negative energy, thus helps in addictions. Stones are what solidified the planet. Daily foot massage to promote bliss (quantum level) to ultimately eradicate all disease. Because they live extreme life and live out of tune with nature. Excess blue light, not sleeping at proper times etc. Doja’s research at Hammersmith hospital showed a 90-95% success result, mainly through marma massage. Re-enlivening the mind-body communication pathways. There are two species of Banana's - Musa acuminata (the common fruit) and Musa balbisiana (plantain or green banana that's used as a vegetable). Additionally there are hybrids and offsprings, but they all stem from these 2 original wild species. I will share the Ayurvedic view of the common Banana fruit (Musa acuminata), known as "Kadali" in Sanskrit. Banana is a good remedy for depression and a great replacement to snacking on chocolate as a comfort food. When depression is caused by quality of dryness, bananas actually grant courage and fortitude. (This does not mean to indulge in Banana when feeling down, eat everything in moderation). It mitigates Pitta due to sweet taste, however if eaten in excess can increase pitta. It increases stomach acid - beneficial for those with too little acid. High in Potassium - Potassium levels are important for those whose sodium/salt intake is high and for nerves and muscles. High in Vitamin B6 - Combining B12, Folic acid, and B6 is important because they are synergistically active to provide protection to the heart, brain, and nervous system and more. 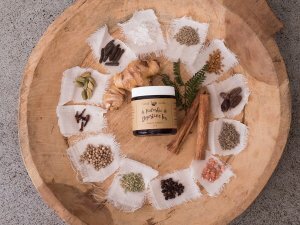 Skin Care - It is good to incorporate in to your homemade topical skin paste. Especially for Pitta skin types. 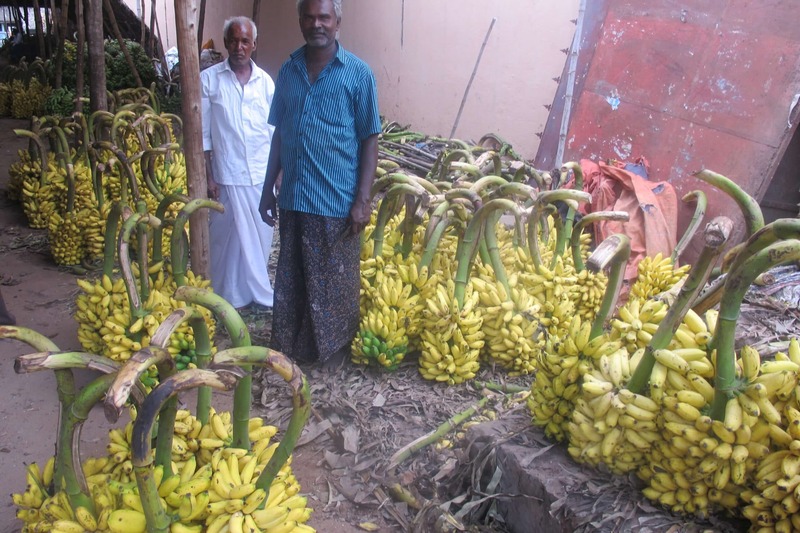 Low Pesticide Levels - Banana's are not very "dirty" in the sense that conventional tree's don't require much pesticides. Banana mixed with dairy is highly incompatible. The post-digestive action (vipaka) of Banana is sour, while the vipaka of milk is sweet. The different vipakas create an incompatible food composition that typically deposits as "Ama" (undigested food material = toxins) in the body and will manifest as disease later. It changes the intestinal flora and diminishes Agni (digestive fire). Banana mixed with dairy is a common cause of skin diseases. This (incompatible) food combination is so common in the west, and is in my top 3 "biggest flaws of the western diet." Stay away from Banana Smoothies with milk (see my healthier Banana Smoothie Recipe), Banana in your Porridge, Banana Milkshake and Banana Cake. Generally, banana (like most fruits) should be eaten alone, but there are some exceptions (see below). Banana is one of the only fruits with "rules" - One should not eat it on full stomach nor empty stomach. Banana is not healthy to eat first thing in the morning. Like other fruit, having Banana as an afternoon snack is an appropriate time to eat banana. People with high blood sugar should not eat banana very much. A more compatible and healthier option. (1) Astanga Samgraha of Vaghbata, Ch. 16, (18-19). photo: by Dylan Smith taken in Tiruvannamalai. Mung is an easy to digest lentil that provides adequate protein. 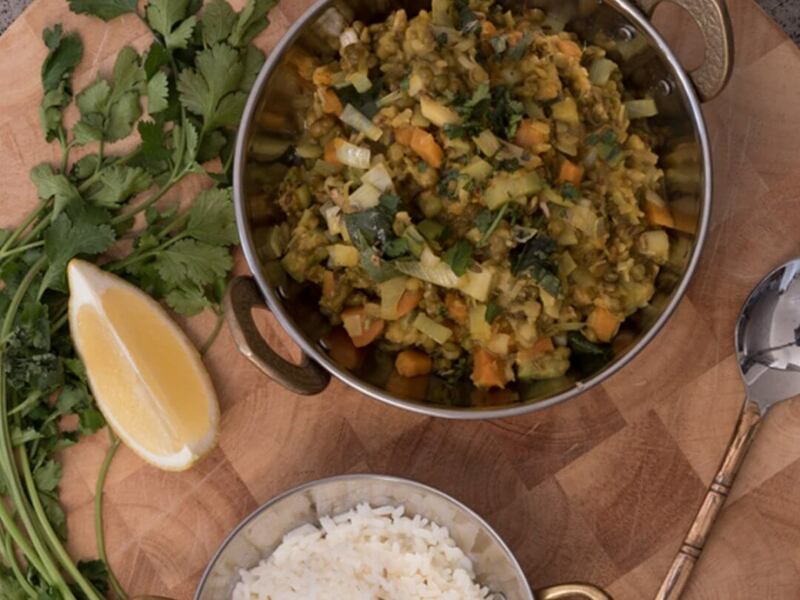 Used for both cleansing and building in Ayurveda, one can eat mung dahl everyday and not only will you gain complete nutrition and satisfaction, but soon this will be the stuff you crave! Mung is the only legumes that is “vata balancing.” This means that, unlike every other type of beans or lentils, they will not produce any intestinal gas. They naturally are much easier to cook, digest, and assimilate. This is why Mung Dahl is considered to facilitate spiritual growth and effectively detox the body. 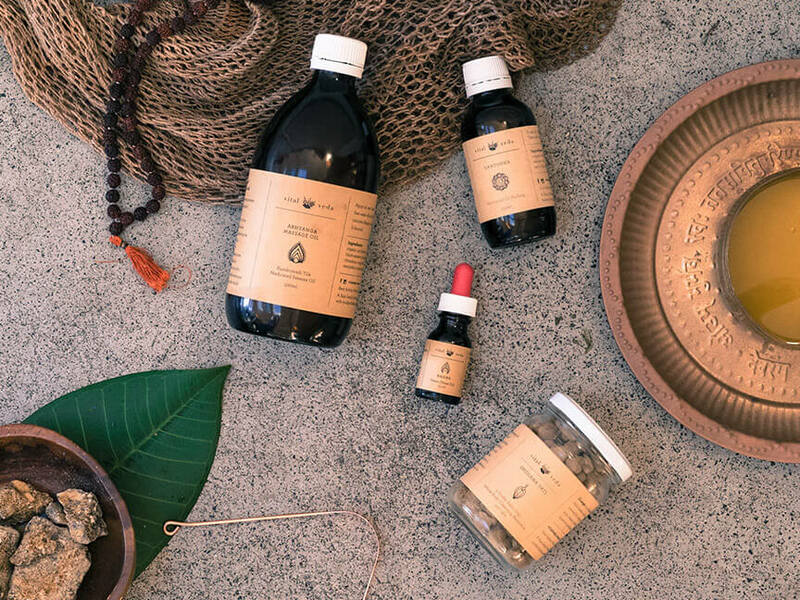 It has long been used to nourish babies and the elderly, the sick, and the healthy during special times of detox, cleansing, and deep spiritual practice. 2 or more types of any fresh seasonal vegetables finely chopped - e.g. zucchini, kale, silver-beet, spinach, dandelion, cauliflower, broccoli etc. - by using seasonal foods, nature is providing the antidote to the harsh qualities that the season may manifest. 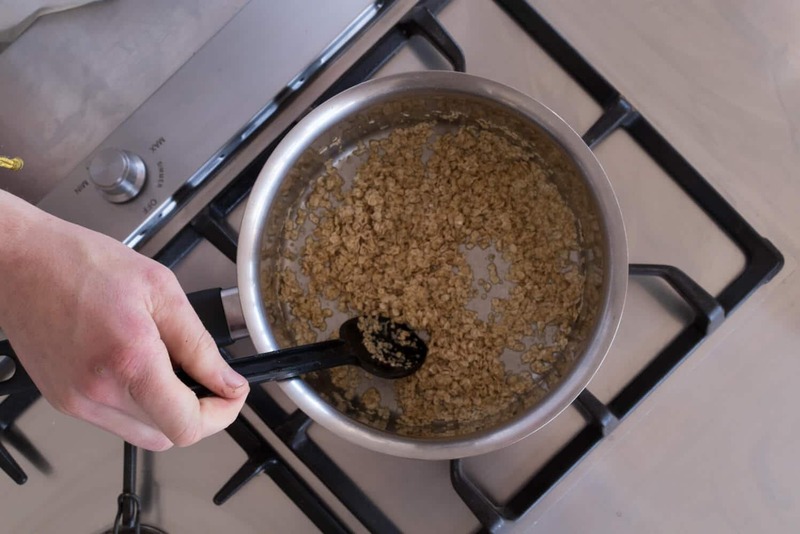 2 cloves of garlic finely chopped - make sure to purify by removing the inner green sprout. Ghee - Approx. 1-2 tablespoons. Wash mung dahl and soak it for 2 hours. Even 1-6 hours of soaking is ok. The longer you soak the quicker it will cook. 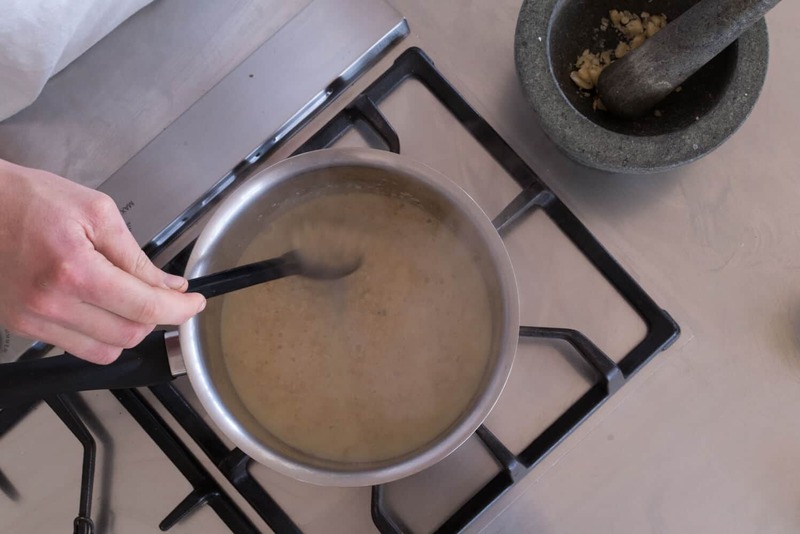 Boil mung dahl in a pot of water. When the mung dahl is getting more soft (test my squishing a lentil with your fingers), add vegetables that take a bit longer to cook (e.g. thick leafy green stems, broccoli stems, cauliflower, carrot etc.). Add turmeric + black pepper + salt + hing + quicker to cook vegetables such as leafy greens. In a separate pot fry the other spices in ghee along with onion, garlic and curry leaves. Add the spices in the main pot, mix well for 5 minutes to infuse the spices in the dahl. 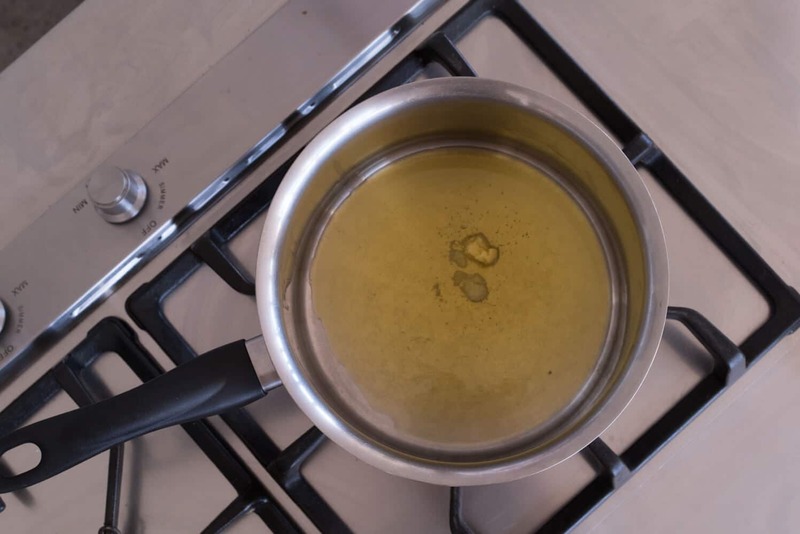 You are adding the vegetables in the pot in a timely matter so that when the vegetables are finished cooking so are the lentils. Garnish with fresh coriander and fresh lemon. Serve with a carbohydrate such as fresh bread and/rice or quinoa etc. When you mix grain + legume you have all nine essential amino acids which make up a complete protein. This explains how ancient cultures like India and Africa have been living off beans and rice for decades. Enjoy this warming, comforting and super tasty dish that leaves you feeling energetic and satisfied after you eat. 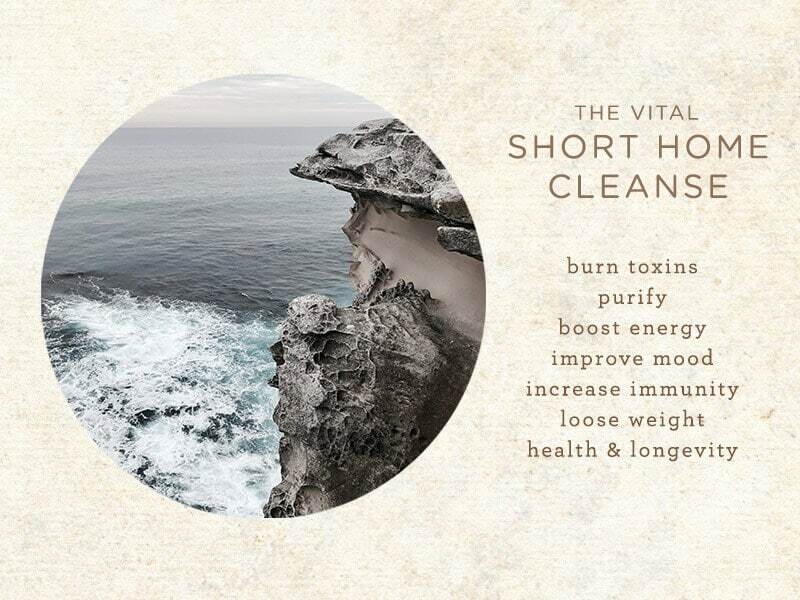 Less cravings, sustainable energy levels and moving towards perfect health. Not particularly inspiring…so I will redefine the word from an Ayurvedic perspective. First of all, there is no need to exaggerate that foods are “super.” Whatever one uniquely needs will be their superfood. Additionally, everything is actually superfood if you know how to transform and use it. 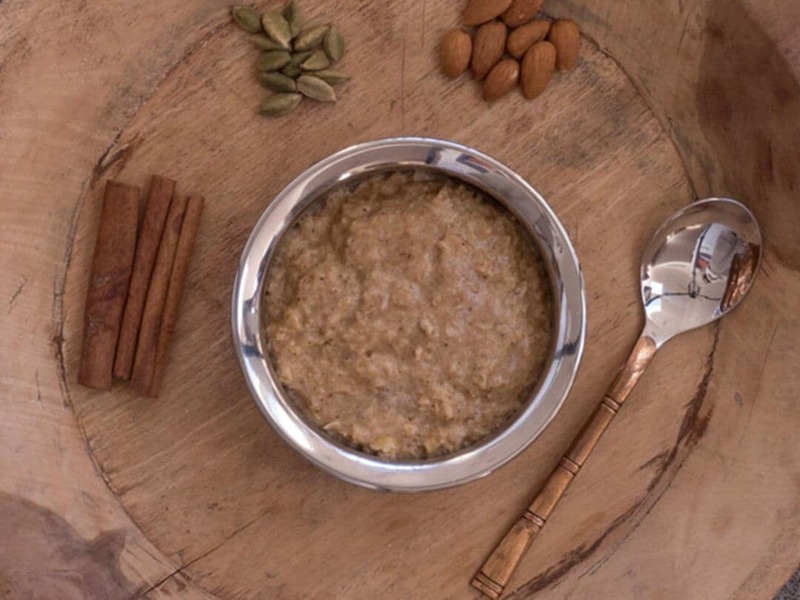 Some Ayurvedic foods are prized for their powerful medicinal properties. Ayurveda valuably teaches us how to use food as medicine. 'Ojas' is considered to be the most refined product of digestion. Every food must metabolise through all the body’s tissues before it can become Ojas. Ojas: a bio-celestial liquid substance that (predominately) resides in the heart, as well as all over the body in a less concentrated matter. Building Ojas is an art. 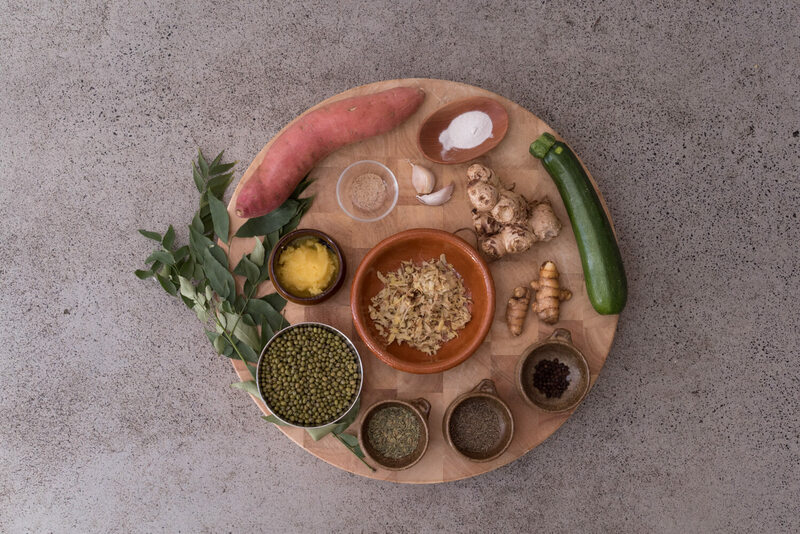 Perhaps one of the best ways to consistently build Ojas is to eat a diet of fresh unprocessed, seasonal whole foods, and have a balanced agni to support the process. A handful of special foods (some listed below) even metabolise to nourish and build Ojas directly. 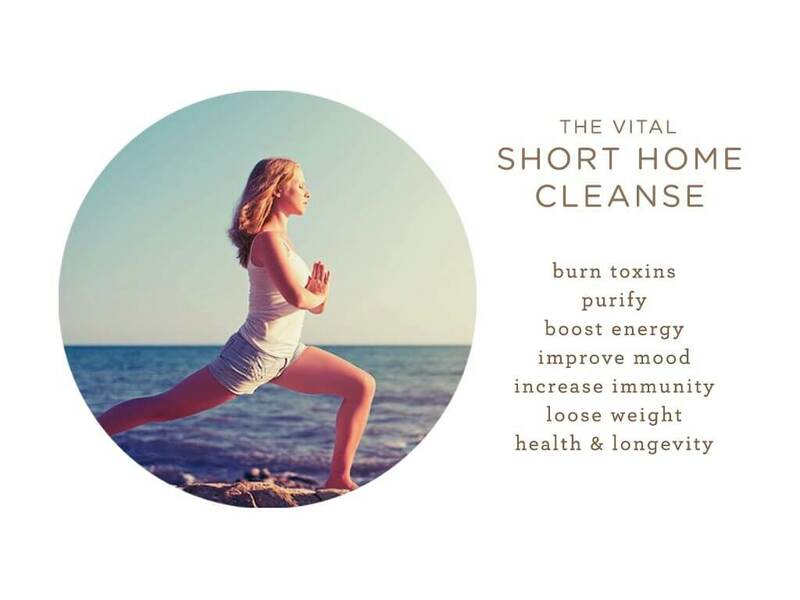 It sounds very simple, but you’ll find that is has a powerful influence in purifying and strengthening the gastrointestinal tract, as well as detoxing and rejuvenating the major systems of the body. All you have to do is sip hot water frequently throughout the day. Sipping frequently (rather than focusing on quantity) flushes the lymphatic system, softens hardened tissues (just like hot water will soften leather, unlike cold water) and dilates channels and deeply hydrates the body. It also heals and repairs the digestive system. In a short time you’ll begin to appreciate the soothing and balancing effect of this technique. Once you have gotten used to it, you will look forward to drinking hot water on a frequent basis. 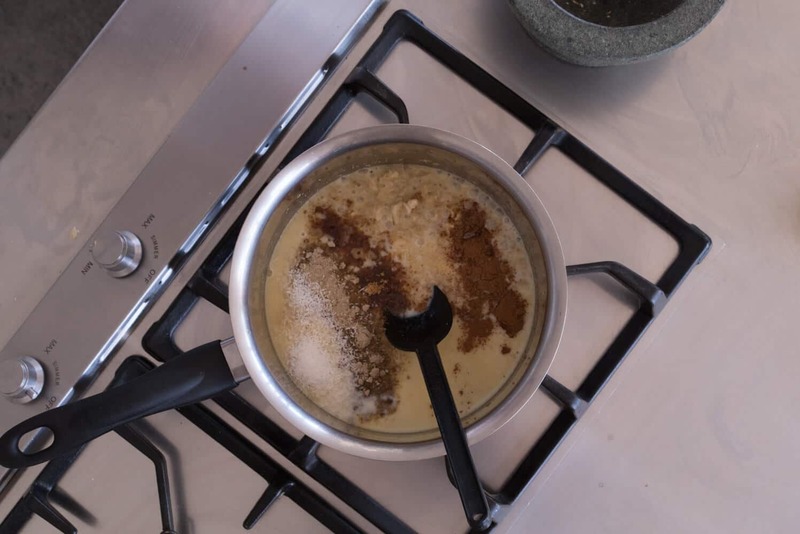 Ghee is the crown jewel that joins Ayurvedic medicine and Indian cooking. Ghee is clarified or purified butter. 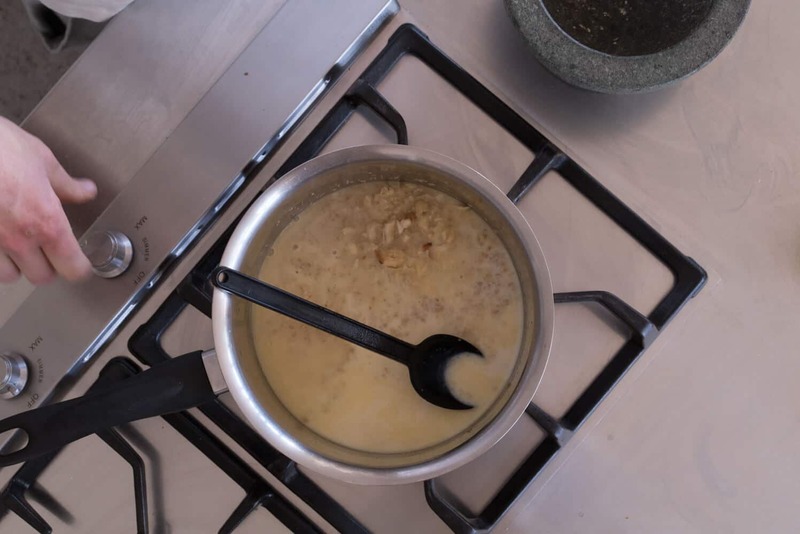 With all the lactose components & milk solids removed, no-one is allergic to ghee. 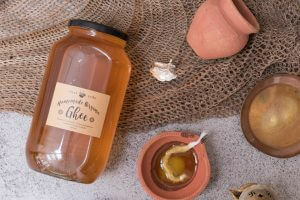 Ghee is light to digest and has the special quality of enkindling Agni and supports fat metabolism. It effectively detoxes the gut and is an effective source of internal lubrication. 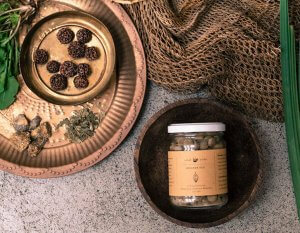 This concentrated golden substance is highly Sattvic and directly nourishes Ojas. Dairy has a bad name in the press these days. 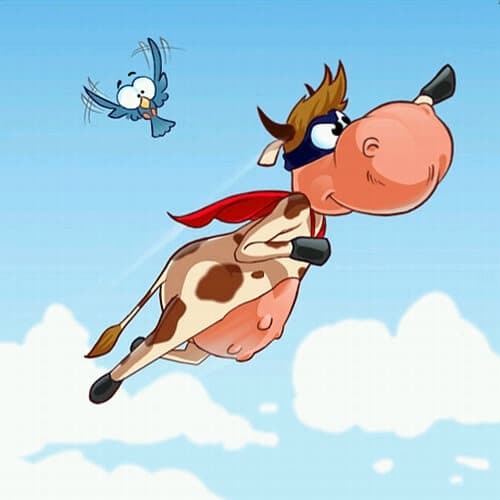 With people increasingly claiming dairy intolerances, it has become perilous in todays new-age health scene. 1. The dairy industry in the west is increasingly producing homogenised milk from poorly treated, stress inundated cows that are being fed grains. Further, the milk is pasteurised the wrong way, with added chemicals, pesticides, preservatives and anti-biotic’s. 2. 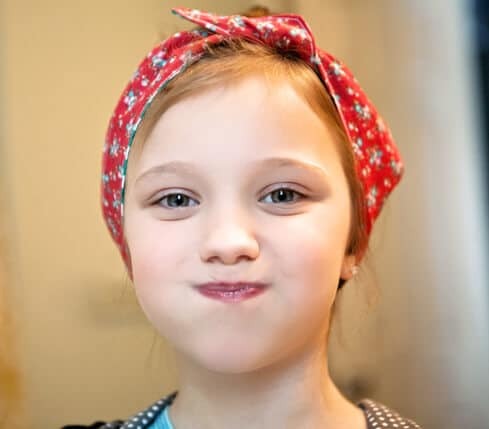 A lot of kids drink cold homogenised milk with sugar filled processed cereals, and topping it off with some fruit in their bowl or having a glass of OJ on the side – a highly “un-ayurvedic” recipe for an incompatible digestive disaster. Hence, people develop a dairy intolerance. And it may only hit them down the track. Possibly when they finally begin to tune into their own body and become more conscious. 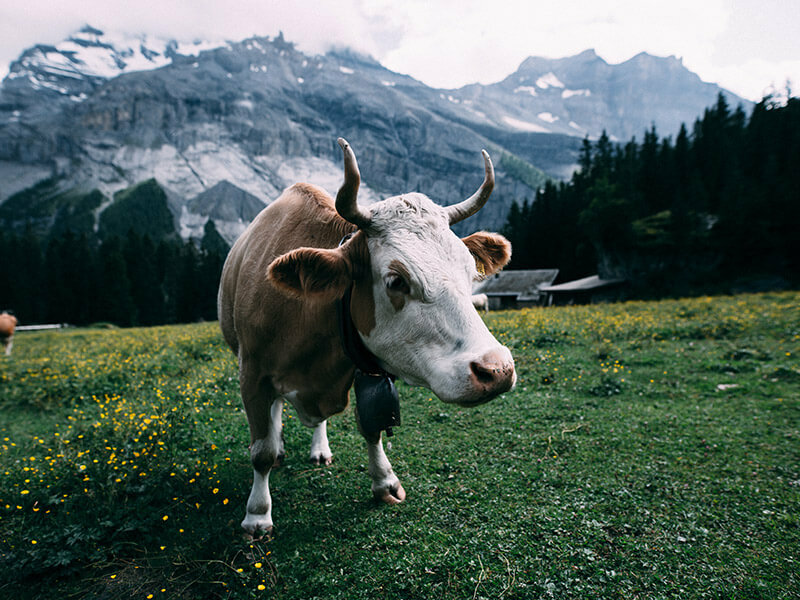 Let me also add, if you believe and accept the notion that “dairy is bad,” you negatively charge the micro-biome in the foods, stress out your own body and if when you eat dairy with guilt it will not digest well due to lack of harmonious compatibility. Mind is the culprit here. However, Ayurveda on the other hand prizes dairy as one of the most medicinal and nourishing foods and one of the most anabolic foods that directly builds Ojas. 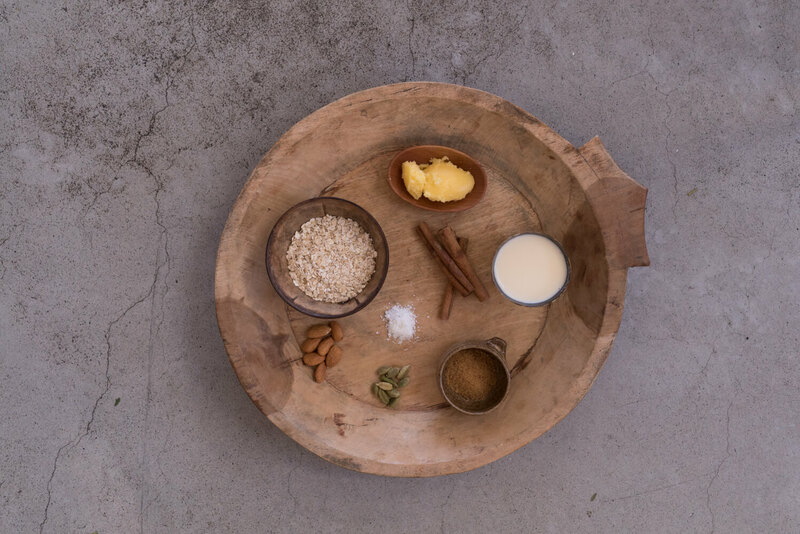 Rest assured, it is not a requirement for anybody to drink milk all the time, but if someone is in need of strength or Ojas, milk is one of Ayurveda’s top choices. Cows are considered sacred animals in India and cow milk is highly revered in Ayurveda as one of the most Sattvic of foods. Please note: milk should always be boiled with equal amounts of water and un-homogenised and preferably organic. This will make it easier to digest. If you have difficulty with cow’s milk don’t worry, first correct your agni, then slowly introduce dairy. (Consult an Ayurvedic practitioner). Also, there are six other superfoods on the list to choose from! 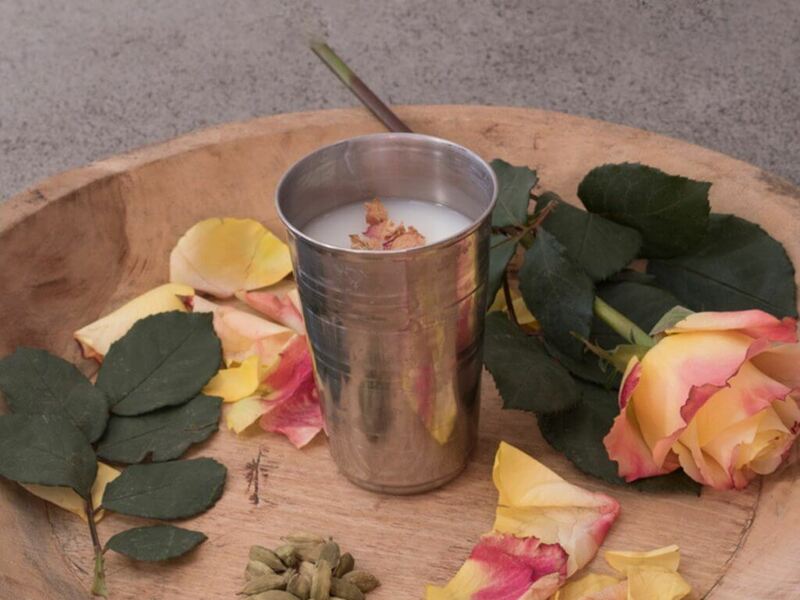 Lassi is buttermilk, or diluted yoghurt. Ratios of Yoghurt : Water: 1:4, 1:6, or 1:14. 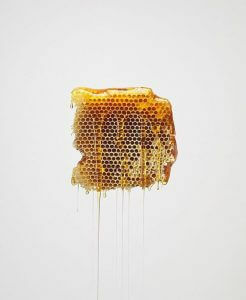 Honey is super Sattivc and directly nourishes our own life-nectar, Ojas. It is actually more of a medicine than a food. Due to its richness, it should be taken in moderation. On the other hand, Ayurveda teaches that honey will be poisonous when heated above body temperature (that means no honey in hot teas, hot porridge, cooking with honey etc.) as it perniciously clogs the channels. This is why is it always important to purchase honey that is extracted at low temperatures. Turmeric (Curcuma Longa) is the most thoroughly researched plant on this planet! and i don’t blame the scientists for the 5600 peer-reviewed and published biomedical studies. It is the best anti-inflammatory. It regulates mood and boosts cognitive function. Protects the gut and stomach lining. Supports joints: (pain, stiffness, swelling, arthritis) and healthy blood. 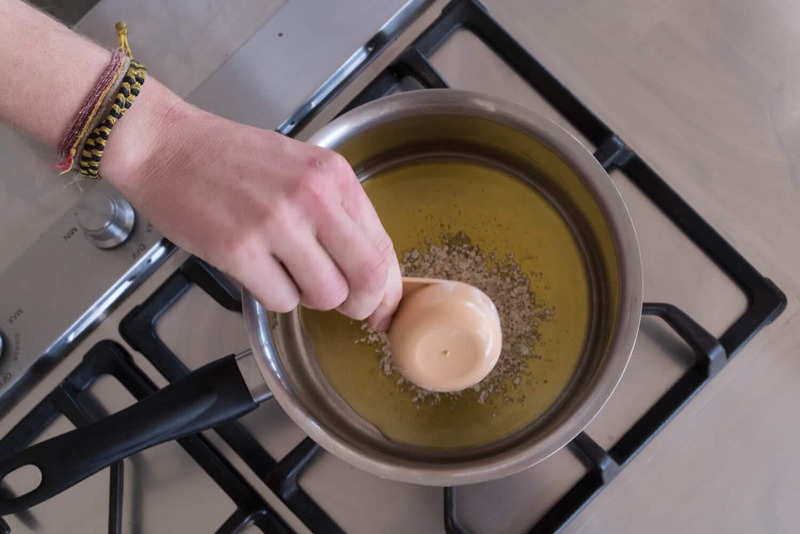 Since turmeric is anti-carcinogenic, it is vital to use when cooking meat due to the high risk of carcinogenic properties in most meat these days. Almonds are also Sattvic and help to maintain our Ojas. They are a good source of zinc, strengthen the body and grounding for the mind. 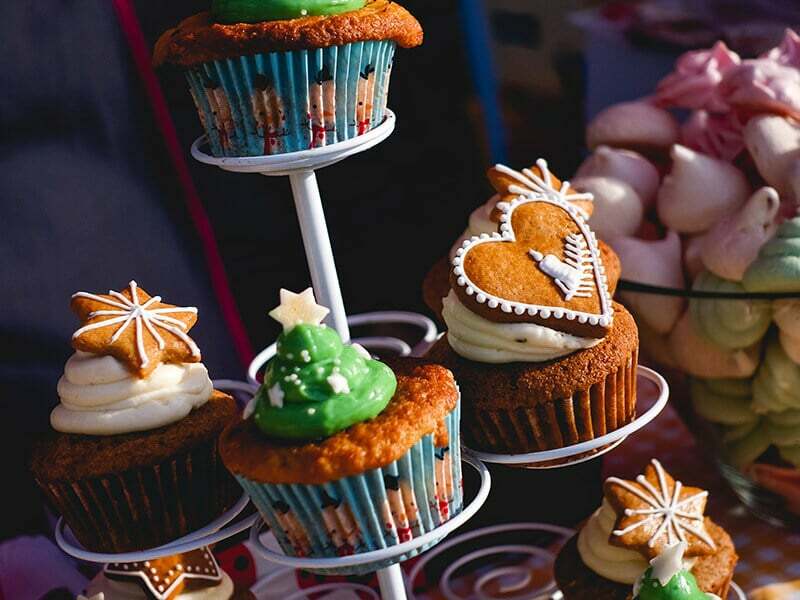 But they are also quite rich and heavy, so again, moderation is the key. Half a handful of almonds a day is enough. 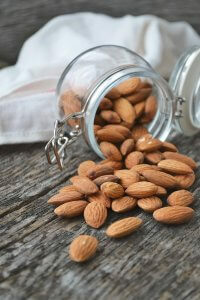 To make them lighter and easier to digest, always soak almonds overnight in water and remove their skins the next day. If you are in any doubt about your health please be sure to consult an Ayurvedic Practitioner or your local health physician. (1) "Superfood 'ban' comes into effect". BBC News. 2007-06-28.